Magnolia strives to keep the planning experience both exciting and joyful. We desire to understand our client's vision and work with them to make their dreams come true! We work hard to maintain excellent relationships with trusted vendors, so that we can cultivate incredible options to best suit our client's needs. We endeavor to make sure that we are not just pulling together any team, but the RIGHT team! Magnolia clients enjoy working with a hands-on experienced planner. We work to form a bond with each of our clients and create memories for a lifetime. Our client's priorities become our priorities so we can ensure a professional event execution process. Magnolia offers a wide range of services. Please reach out to us for additional information and custom proposals! Laura Maddox has over fifteen years of experience in the hospitality industry. She earned a degree in Hotel, Restaurant, and Tourism management from the University of South Carolina and is also a Certified Wedding Planner. Through the years she has worked in all aspects of the industry; for private clubs, hotels, restaurants in and around Atlanta, as well as a number of private employers. Prior to joining Magnolia Events & Planning full time, she served as an Executive Assistant to a prominent CEO in downtown Atlanta. She often jests that the demands of this position prepared her most for what she does today. Laura started moonlighting with the firm in 2009 and quickly became a leader in the local event community. 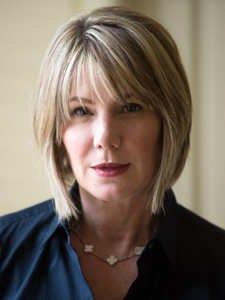 She has directed numerous high profile events with tremendous success while building an even more powerful reputation, which led her to becoming a partner in Magnolia Events & Planning in 2011. Laura resides in Roswell with her husband, two kids, and two dogs – she is always ready with some pictures if you ask! When she’s not planning fabulous events around the city you can find her practicing her culinary talents, training for her next half marathon or bike race, contributing to her church or spending time with her large extended family. 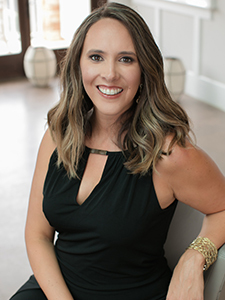 Sara Parker is a certified meeting planner (CMP) with an extensive background in marketing and customer service and has over a decade of planning and coordinating experience. Sara is a graduate from the University of Georgia 2006 and has successfully executed 2000+ events in the hospitality, insurance and pharmaceutical industries. Her distinct acumen rests in producing seamless Weddings and Mitzvahs for special families. Sara has strong communication skills geared towards both event leadership and providing outstanding customer service. She thrives when working in a fast-paced atmosphere, is organized, highly motivated, and detail oriented. She has also proven ability to efficiently multitask on special events and accurately implement last minute changes, as needed by the client. Sara joined the Magnolia team in 2011 and advanced into a partner role in 2013. Not only is she an excellent planner, but she is also passionate about her clients and building meaningful relationships. Sara is a valuable team member and works hard to ensure wonderful, and memorable Weddings, Mitzvahs and other social occasions. Sara resides in Roswell with her husband & daughter. She is passionate not only about her family, but her community as well. Sara is active in her church, The Junior League of Atlanta, FOCUS, and Friends of Children’s Healthcare of Atlanta. She also loves being active, reading, spending time at the lake, researching event trends, and checking out great restaurants! Christina Zubowicz plans, coordinates, and produces weddings, mitzvahs, social occasions, and non-profit as well as corporate events. 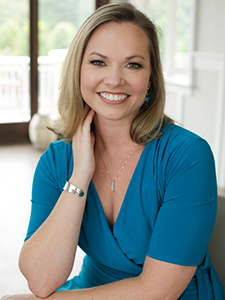 She is a member of the Association of Bridal Consultants and her clients have included national magazines, Fortune 500 companies, and brides from Atlanta and throughout the region. She is a highly published event planner and known as an industry expert. Christina earned her event stripes working for Bold American Catering and The Fifth Group Restaurants, serving in event management, marketing coordination and operations management for the organization. She participated in the management and planning for hundreds of weddings and corporate events and was recognized as a “Reason to Return” to Bold American Catering. Christina also has numerous years of restaurant management experience with legendary Atlanta restaurants like Bridgetown Grill, Indigo Coastal Grill and the renowned Seeger’s, where she served on the team that earned the Mobil Five Star Award, the AAA Five Diamond Award, and the “Triple Crown” Award. Christina has a BBA in Management with a concentration in Marketing from Georgia State University and a Master’s in Psychology from the State University of West Georgia. She is an apprentice pilot and has completed her first solo flight. She supports and participates in several charities such as the Piedmont Park Conservancy, Annandale Village, past Board member for The Frazer Center, which serves the needs of children and adults with developmental disabilities.